StageBio is the leading provider of preclinical histology, pathology and specimen archiving services for the biopharmaceutical, medical device and contract research industries. Established through the merger of two industry leaders, StageBio is an integrated partner serving the full spectrum of your histopathology needs. 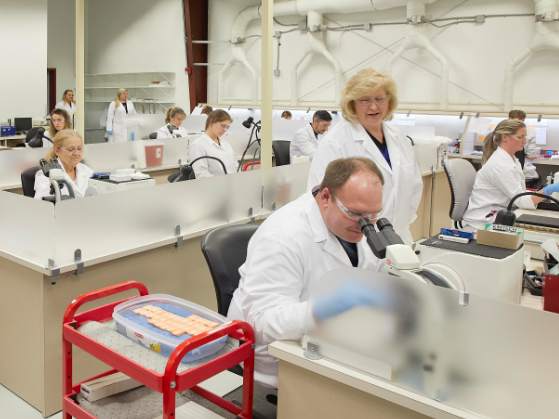 Our experienced team of laboratory staff, board-certified pathologists and archiving specialists are both experts in their respective fields and stewards of your projects’ success. We offer a full range of histopathology and specimen storage services to support your preclinical research and development programs, including in-demand, niche services requiring specialized scientific expertise. IHC or IF: Which is Best for My Study? At StageBio, our commitment to excellence starts with the quality of our procedures, which is evidenced through the quality of our data. We have never missed a deadline to date — and we don’t plan on starting anytime soon. Tell us a bit about your research needs, and together let’s determine the best path forward.